TWO PEOPLE, including 69-year-old Tara man Allan Beil, died in a collision on Tuesday afternoon. 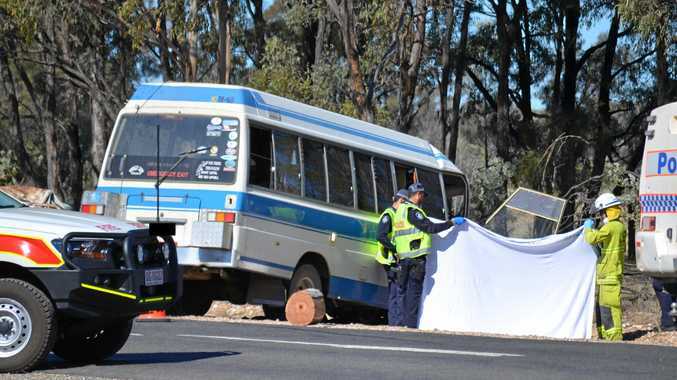 Police confirmed Mr Beil, as well has 50-year-old Toowong woman Victoria Toubol, were killed after a ute and bus collided on Surat Developmental Rd, 13km east of Tara just after midday. The driver of the bus, 47-year-old Toowong man, Paul Close, was airlifted to the Princess Alexandra Hospital with critical injuries. A hospital spokeswoman said Mr Close had since been discharged. 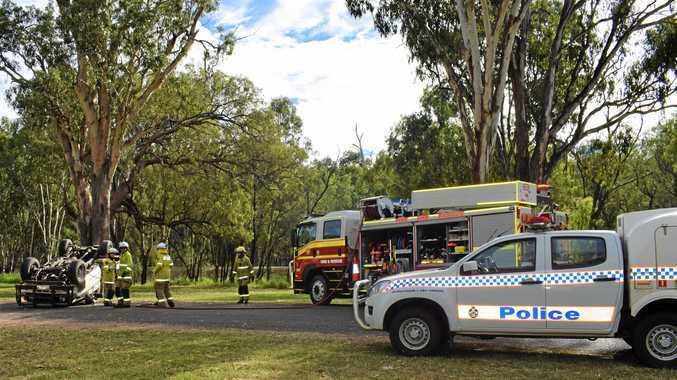 Officers from the forensic crash unit continued their investigation yesterday, according to a QPS spokesman. Acting Inspector Terry McCullough said preliminary investigations indicated the vehicles had not slowed down before the accident. "Preliminary investigations appear to show that one vehicle may have crossed onto the wrong side of the road and hit the other head-on,” he said. "There did not seem to be any braking from either vehicle prior to the crash. Insp McCullough said it was too early to speculate which vehicle may have crossed onto the wrong-side of the road. Police have called for any witnesses to the incident to come forward as investigators piece together what caused the crash. Whether any of the Fatal Five, including inattention, contributed to the crash will be investigated. Anyone with information is urged to phone Dalby police on 46699222 or Tara police on 46653200.